Quarter crans were baskets used in weighing and carrying herring. Their size was regulated and standardized by government decree as a legal measure. From all points of view, it was very important that they were of a consistent size, or fishermen might be paid too little, or too much for their catch. The size of a quarter cran related to that of the cran and the half cran. 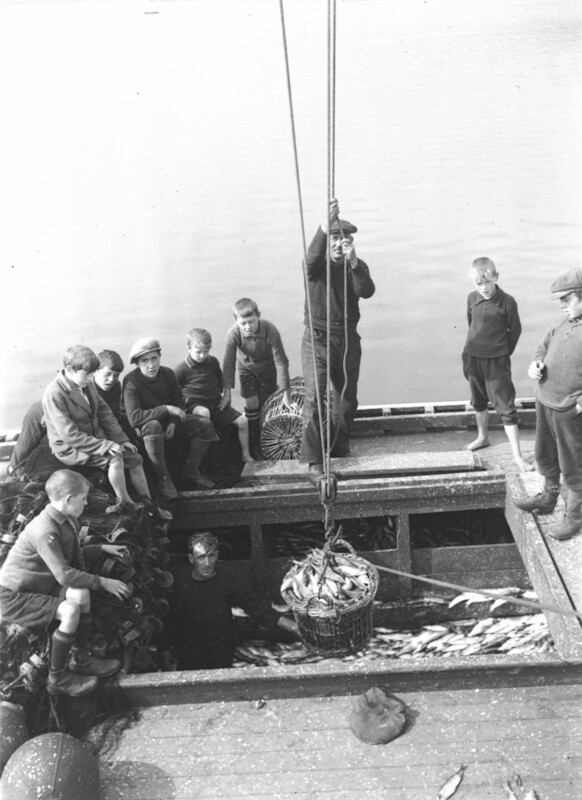 The very word crann in Gaelic can mean a ‘measure for fresh herring’ (Dwelly). The cran measure is considered to have originated in Scotland and was later adopted by the English and Americans. The decision on its exact capacity was modified over time, and was redefined several times. Thus the 1815 Act permitted the Commissioners of the Fisheries Board to determine its volume, which they did in 1816 as 42 Wine Gallons (Dundee City Archives, SCRAN ID 000-000-495-377-C). The Commissioners for the Herring Industry then re-defined in a report published on 10th January1832, when it had to be no “greater or lesser contents or capacity than Forty-five Gallons of English Wine Measure” (RCHF 1832). A further re-definition of 1852 regulated the 45 Wine Gallons into imperial gallons, which made it 37.5. It was only in 1908 that the cran was also made a legal measure in England and Wales (Cran Measures Act 1908). The half cran was similarly regulated to hold “Twenty-two and one-half Gallons English Wine Measure”, and had dimensions of 21 inches height, 18.4 inches at its widest point and 16.3 inches at its extremity (RCHF 1832, 40). The general inspectors and officers of the Fishery examined, approved and branded crans where the measure was found to be correct. The branding iron had the figure of a Crown, the initials of the inspector, and the year of inspection on it, and the brand was put on every second joint of the cran. It held about 1000 fish. Descriptions of the cran are quite tantalising and, while describing its dimensions, rarely say what the cran actually was. Thus the 1832 Act set the cran at 30 inches high, the diameter at its widest 21.9 inches and at the base 18.9 inches –“without any fractional part under or over” (RCHF 1832, 3). But while some accounts describe these large measures as baskets, other reports suggest they were barrels with brands upon 4 staves and bound with ‘good iron hoops’ (Mill 1821, 465-9). Debate in the 1908 Cran Measures Act describes them as ‘a measure which is really a basket’, while other sources linking them to English Wine Measure describe them as barrels (Chamber and Chambers 1834, 364). 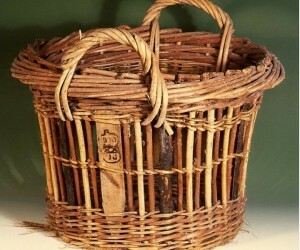 According to John Mitchell’s The Herring: Its Natural History and National Importance, the cran could be either a wooden tub or a wicker basket. If anyone has any further information on this, we would like to hear it!! (sjb20@st-andrews.ac.uk). Quarter crans, however, most certainly were baskets, both used as means of transporting the herring and measuring it. They were much more convenient for moving the fish about and became the common measure. 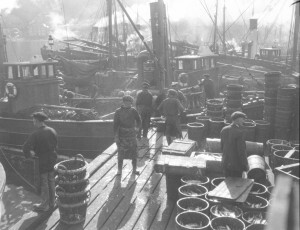 Thus, in 1889, the Herring Fishery (Scotland) Act, section 4, authorized only crans and quarter crans (when properly branded) as legal measures of capacity in the herring industry. Since the passing of this act, further regulations have prescribed exactly the quarter cran’s construction, the materials each part must be made of and its internal measurements. –a “ branded piece of hardwood beneath each cane handle, 1.5 inches broad; pieces of ‘hoopwood’ (6 in number), 1 inch broad, bark outermost and equi-distant with willows in between; and binding, waling and cane fitching had top be done according to precise instructions as issued by the Fisheries Board in Scotland.…” (Martin 1904, 62-3). To be so precisely made, they had to be made by trained basket-makers. A contemporary common misconception has been that all quarter crans were made in Great Yarmouth, and imported to Scotland from there. This is perhaps because of the last known workshop making quarter crans was in Great Yarmouth, as described by the great English basket-maker, Colin Manthorpe (2009). 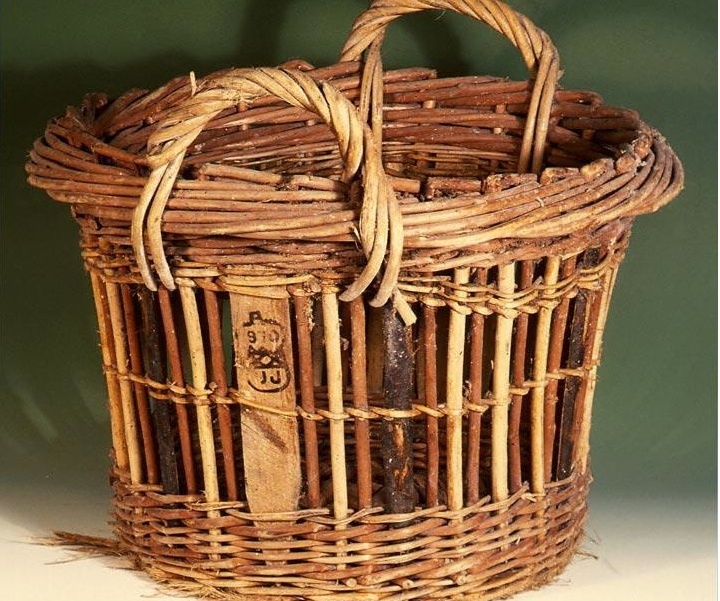 But a little research reveals that at the height of the herring industry, these baskets were made in several basket works across Scotland, including in the Royal Institute for the Blind Workshop in Dundee in the 1920s (Dundee City Archives, SCRAN ID 000-000-495-280-C), at Aberdeen, Leith, Wick and at cooperages in Montrose (ARFBS 1900:17, xxxvi), and also in the Kilmuir basket factory, Skye from 1908 (HIHI 1914, 111). Indeed, making quarter crans may have begun in Scotland. 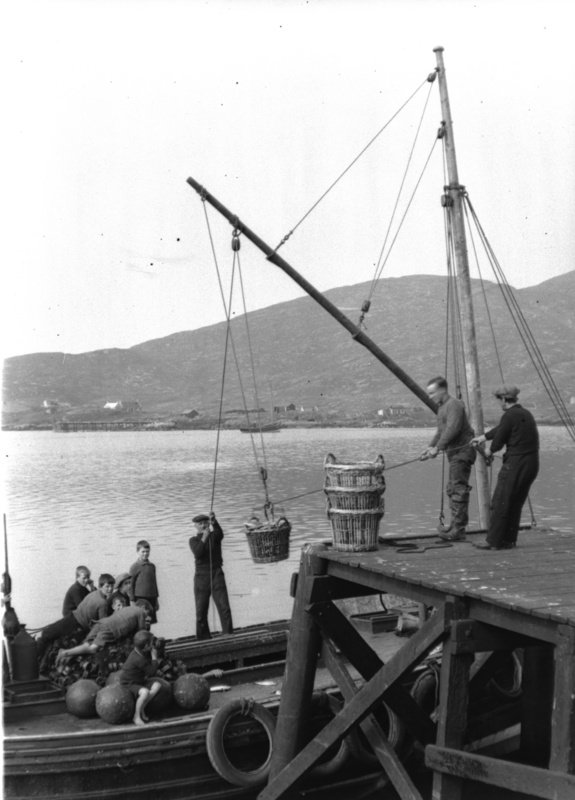 Very similar baskets to quarter crans ere also used to load and unload fish, hooked on to slings to be hauled up from the boat. Cran Measures Act (Bill) 1908. Hansard, 22 July, 1908. V 193, 51-3.